Hi, Kristi here from SweetKM. 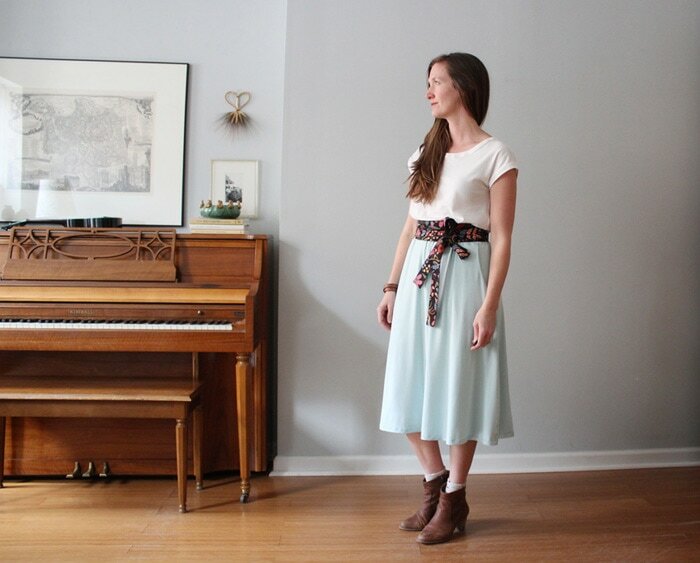 Today I’m sharing the skirt variation of the Blank Slate Patterns Marigold Dress. 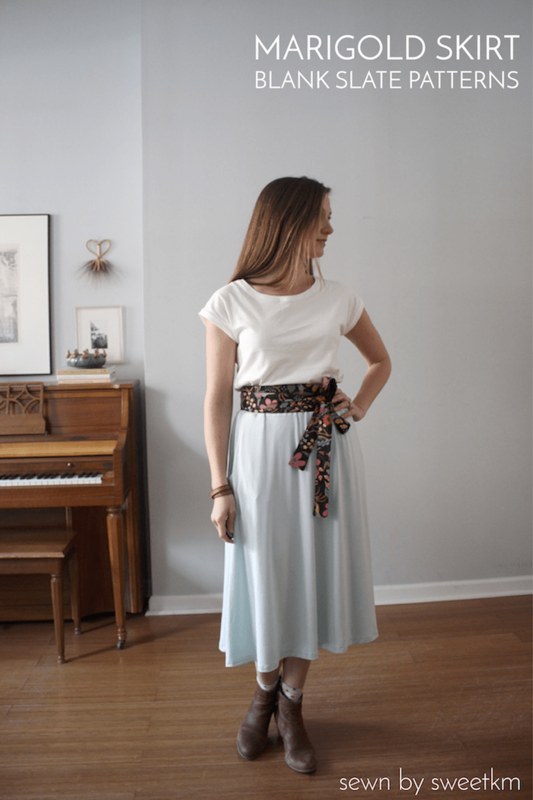 I love the bodice details of the full Marigold Dress design, but as it is skirt month here at Melly Sews, I decided to stay true to theme and give the skirt variation a try. This simple a-line, elastic waist skirt is universally flattering, and with its generous pockets it can’t help but become a wardrobe staple. Based on my measurements I made a straight medium. There is plenty of ease at the waist, and the a-line shape makes this a very forgiving fit. I could have sized down, but I didn’t want to restrict the flow of the drapey bamboo rayon knit. The Marigold skirt converts easily to knit fabrics, and the easy washing and wearing bamboo knit fits perfectly into my daily uniform. Do you recognize the t-shirt? It’s the Blanc T Shirt I made last fall. These two basic pieces add versatility to my handmade wardrobe; different shoes and accessories easily change the character of the outfit. 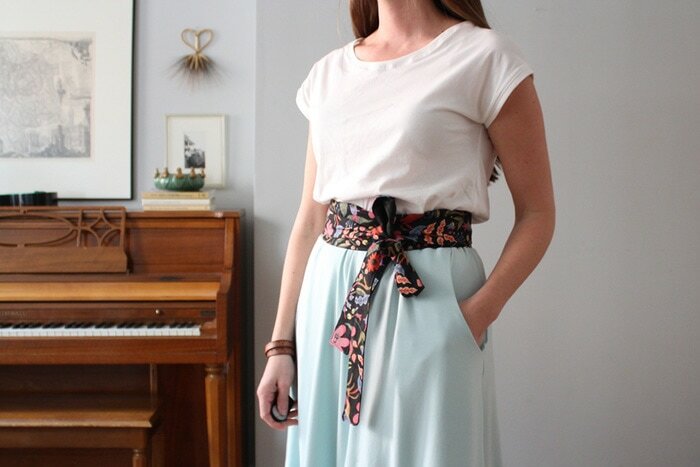 I made a simple self-drafted obi belt out of coordinating scrap linen to pull the pieces together. There is no doubt I had spring on my mind when I did my fabric shopping. When warm weather returns my Marigold skirt will be a spring wardrobe staple with canvas sneakers, or strappy sandals. Until then, I’ll be wearing it with a denim jacket and booties!